Put (very) simply, the repeat purchase rate is the proportion of customers that have shopped more than once. In a nutshell, repeat rate shows you the percentage of your current customer base that has come back to to shop again: a metric which is influenced by your efforts at customer retention and is a pretty good measure of loyalty, often taken into account by marketers to evaluate performance. While retention rate (which you can read more about calculated here) is a trusted barometer of longer-term loyalty over a period of time, it can have its limitations. It can be subjective and is also a longer-term measure, so cannot be easily used to examine immediate tweaks to marketing strategies. Retention rate is useful for reviewing your customer retention year-on-year, but not to measure marketing efforts that will affect it. Repeat customer rate, however, helps retailers understand the tendency of their customers to return after their first purchase, and therefore their ability to inspire loyalty. 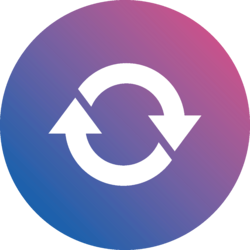 The repeat purchase rate calculation takes into account the purchases from repeat customers divided by all purchases on the site for a given date range. For instance, suppose you have 100 customers, of which 23 have shopped more than once, your repeat rate would be 23%. Tracking repeat rate daily, weekly or monthly is an indicator of whether your efforts at improving customer loyalty are working. In ecommerce, the time-worn mantra that existing customers are worth [insert 3-7] times more than new prospects will likely have passed your ear a few thousand times. But for good reason, as marketers have to bring in seven shoppers to equal the revenue of one repeat purchaser, according to Adobe. Furthermore, online retailers aggressively pursue second sales given that the chances of returning shoppers returning again (and again) incrementally rises with every consecutive visit. For example, a customer who only purchases from you once has a 27% chance of returning again, whereas a second-time shopper has a 45% chance of returning for a third shop. Need an argument for fostering big repeat rates? You do the maths. As we all know: repeaters make economic sense, marketing strategies that respond to an individuals buyer journey, their tastes, preferences and likes (at the right time) are essential to inspire long lifetime value and boost business. Well-oiled customer lifecycle marketing is a crucial tool to boost customer repeat rates. Create an email marketing campaign that slowly builds engagement and delight after a customer's initial purchase. The campaign should work up to a strong incentive for their next purchase at a time directly preceding the average time a first time customer makes their second purchase (which can be figured out using order gap analysis). This will be unique to your business and you’ll just have to do some analysis on your customer data to get the timing right. A wonderful option to use in conjunction with your lifecycle email campaign, for example, is custom audience advertising on both Facebook and Twitter. You can use similar content to the 'drip' email campaign in the marketing messages. Targeting your customers on multiple channels massively increases the chances that something will click and the customer will engage with your advertising - boosting your ecommerce repeat purchase rate. And it's clear that personalised email content resonates well with consumers - with 56% of British shoppers saying it would make them more likely to buy - according to our recent study. Also, never forget the significance of your post-transaction emails, which score extremely high open rates, compared to general marketing emails. Take this opportunity to market to them, as well as confirming the details of their purchase. This can involve pushing related products, or a softer approach that improves the customer experience, such as cross-sells (e.g. what about a pair of shoes do go with your fabulous new dress!? ), useful content (e.g. a blog post or ebook with care information for your new cashmere jumper) or a special offer off next purchase for all new customers to inspire activity.